You are here: Home / New to Homeschooling? If you’re new to the idea of homeschooling, you probably have hundreds of questions racing through your brain. Am I really qualified to teach my own child? These questions and many others are asked by everyone who investigates home education. This website addresses basic questions and refers you to sources of information that will be helpful as you learn more about educating your children at home. Southeast Texas Homeschool Association has an informative handbook that will answer all of the above questions and then some. Homeschool Oasis is another fabulous site for new homeschoolers. Veteran home educator, Barb Shelton, invites you to grab a cup of tea and join her for homeschooling help and refreshment. She does an excellent job guiding parents who are removing their children from a public school setting. Her site has over 100 articles and is especially helpful for those who desire to use a Lifestyle of Learning approach to educating their children. A wonderful book to use during your preparation for homeschooling is Educating the Wholehearted Child by Clay and Sally Clarkson. This book is an excellent resource and Bible study for anyone considering home education. 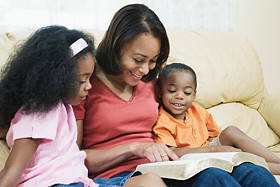 Also, Barbara Smith has written a beautiful book titled Teach Me Lord That I May Teach: What We Learned Homeschooling the Kids, that encourages us all to look to the Lord for wisdom and strength! Also, be sure and visit the Is it Legal?, Does it Work?, and Why Homeschool? pages of this site. When you start researching teaching your children at home, all of the information can be overwhelming. Don’t be discouraged. You are not alone. There are plenty of CHIP families willing to encourage and assist you as you begin this journey. You can read about some of their testimonies here. Most importantly, if God has called you to this life, He will provide everything you need.